Looking for the right gaming mouse that you can use comfortably for several hours is not an easy job. There are literally tons of mice out there and they come in various shapes, size, weight, and features. 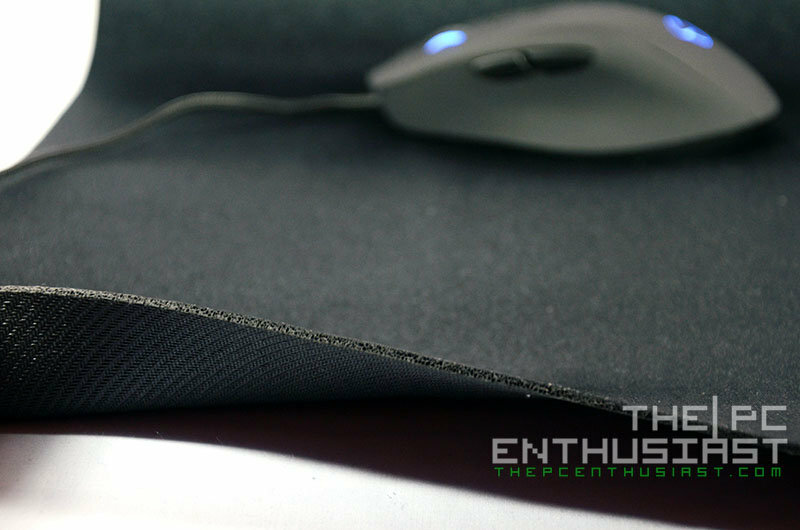 Today we are going to look at an ergonomic gaming mouse specifically made for right-handed users – the Mionix NAOS 7000 gaming mouse, together with the Mionix SARGAS 900 microfiber gaming surface. The Mionix NAOS 7000 is designed for a full palm grip that supports all your five fingers. 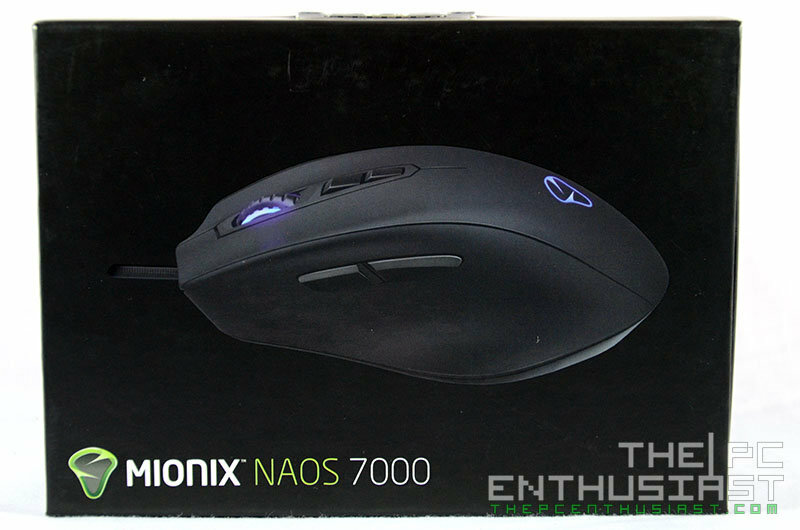 Let’s get to know more about the NAOS 7000 gaming mouse in my review below. 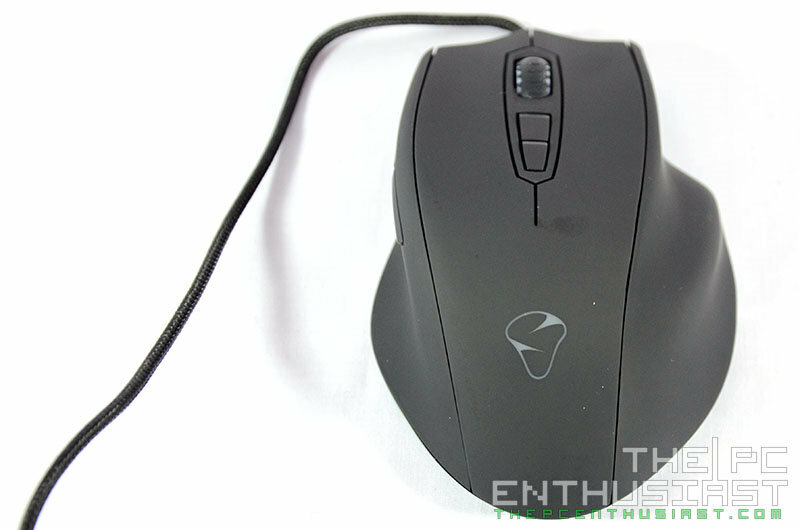 The Mionix NAOS 7000 is designed for right-handed full palm grip users and features a truly ergonomic design. It’s pretty much a straight forward mouse that doesn’t have tons of confusing buttons. The NAOS 7000 is built with ADNS-2210 gaming grade optical sensor that provides accurate and smooth tracking, with a maximum speed of 5.45m/sec or up to 7000DPI. It also features a 32bit ARM processor and a 128kb built-in memory making it possible for this mouse to be fully configurable. The NAOS itself may look simple, aside from its ergonomic outer design, but it also features Lift Off Distance Calibration and Surface Quality Analyzer Tool, that are configurable via its software utility. 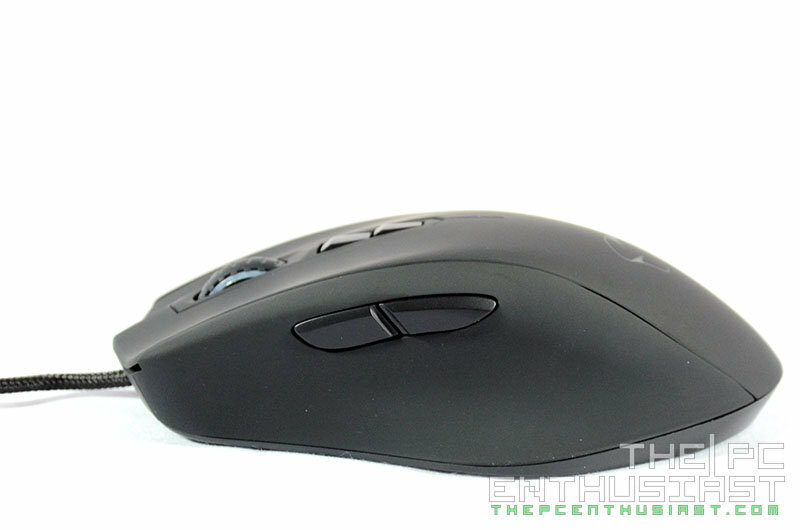 The Lift Off Distance lets you adjust how you want the mouse to be sensitive enough when you lift it. There are users who do not want their mouse to register while lifting the mouse, and there are others who prefer the other way around. Meanwhile, the Surface Quality Analyzer Tool analyzes the surface and will tell you how much of the surface can the mouse recognizes. A result of 100% recognition means that you can use the mouse on the surface without any problem. Since the Mionix NAOS 7000 has an optical sensor, let me give you a little information regarding the difference between an optical vs. a laser gaming mouse. On the other hand, laser gaming mouse is the newer technology. You can use it on a wider variety of surface (unlike optical); it has higher DPI, usually up to 8200DPI; it’s more accurate or precise. But usually laser type gaming mouse are more expensive and some users claim that laser-based mice are prone to acceleration problems. Well, enough of the marketing terminologies and let’s take a closer look on the gaming mouse itself and put it to the test. 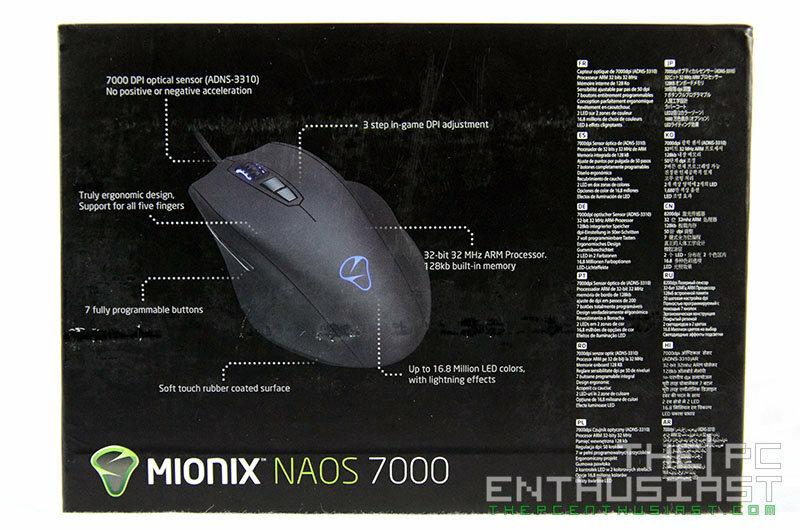 The Mionix NAOS 7000 comes in a simple small box with a photo of the mouse in front and some of its features printed on the back of the box. 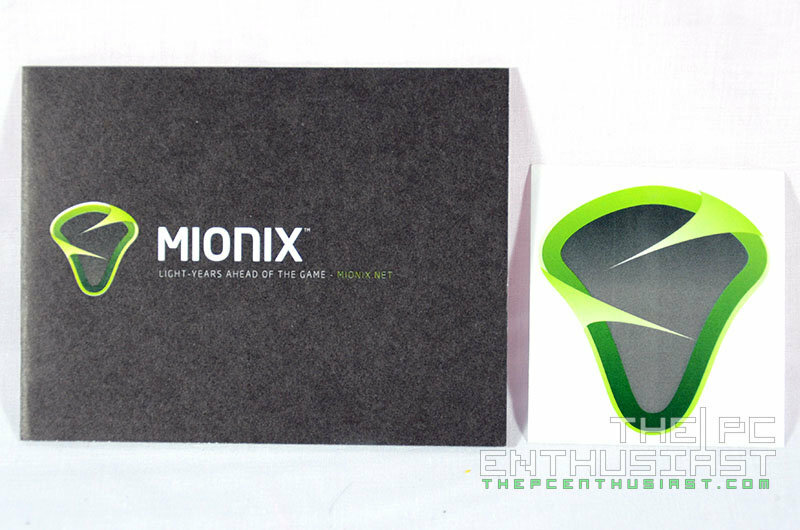 Most gaming mouse nowadays have fancy packaging and most of the time the box is way bigger than the product itself, but not with Mionix. The packaging is pretty straightforward and inside the box you get a manual and a sticker, aside from the mouse itself. Above are photos of the top and bottom view of the NAOS 7000. If you noticed the shape looks odd and not your typical mouse. It may not look like that it’s comfortable to hold, but believe me, it is comfortable for full-palm grip users. 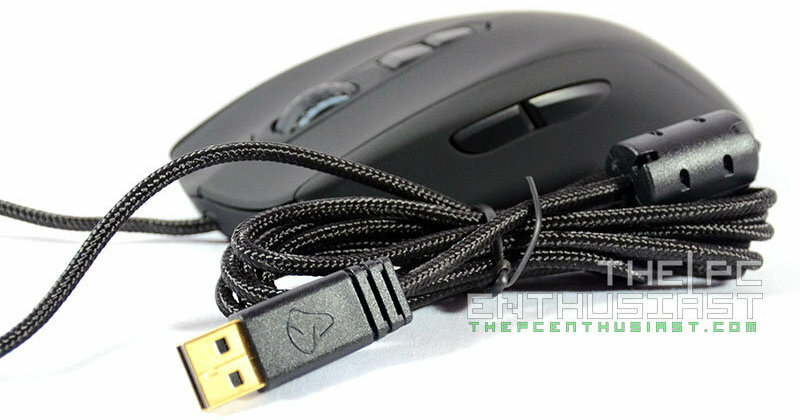 The NAOS 7000 features a nice braided cable with gold plated USB plug, which seems to be the standard on most gaming mouse nowadays. Here are photos of the NAOS 7000 in several different angles. The surface is coated with soft touch rubber coating, and when I first tried it, the surface feels silky and somewhat ticklish. But after a couple of days, that ticklish feeling vanished but the surface still feels smooth. Also when I first used the mouse, it feels somewhat lighter compared to my Nascita and Lachesis. But after a few hours of using the NAOS 7000, I was able to adjust to its weight easily. 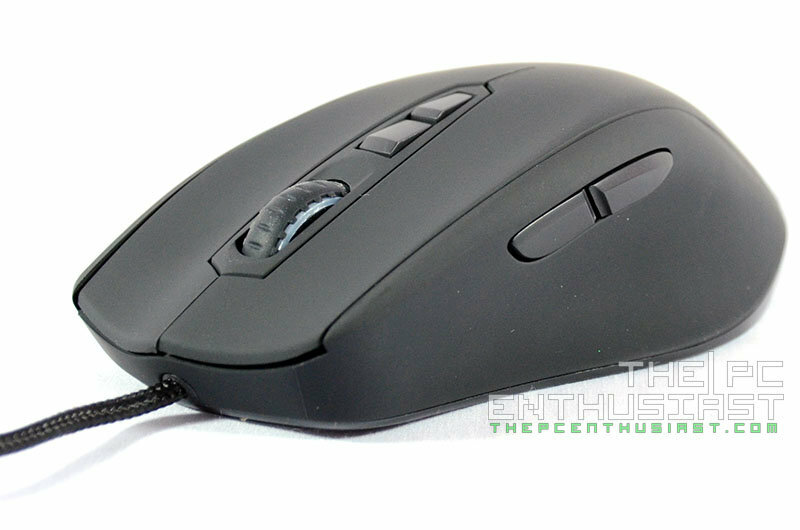 There are a total of 7 clickable buttons in this gaming mouse and those buttons are very much enough for an FPS gaming mouse. All buttons can be fully configured via its software and macro commands can be stored as well. The right side bulges to support the fourth and fifth fingers, making sure that all fingers and the palm are rested well on the mouse. Only the Mionix logo and the scroll wheel have LED lighting effect, and you can choose from several different colors and how the effect behaves via the software. 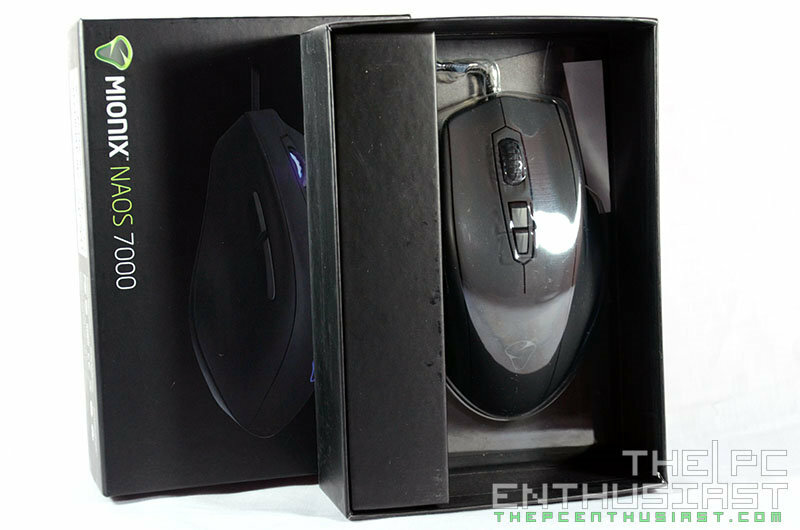 Aside from the Mionix NAOS 7000, the company also sent their SARGAS 900 together with the mouse. 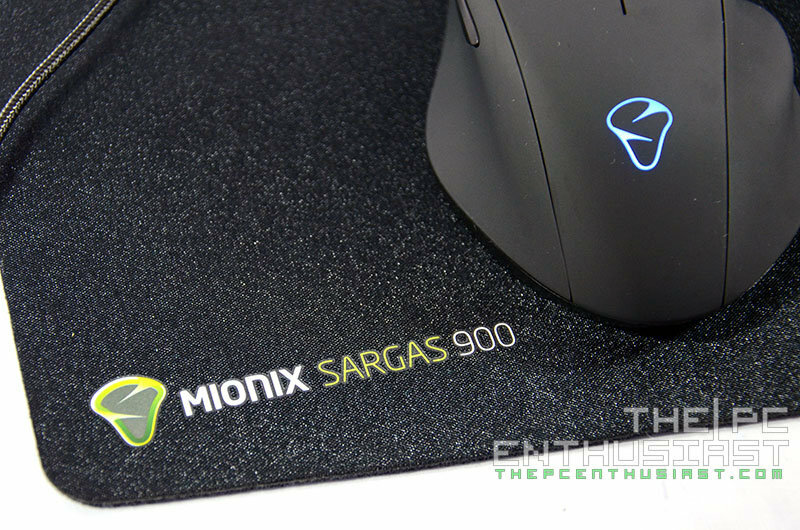 The SARGAS 900 features a smooth textured microfiber surface that helps improves sensor tracking performance. It also features a non-slip grip rubber underneath that firmly grips on the surface of a table. The SARGAS 900 is long enough to accommodate a gaming keyboard and a gaming mouse at the same time. It’s relatively thin, only 2mm thick and has this nice smooth feeling. The package didn’t include the software/driver CD so you have to download the software from Mionix’s support site. 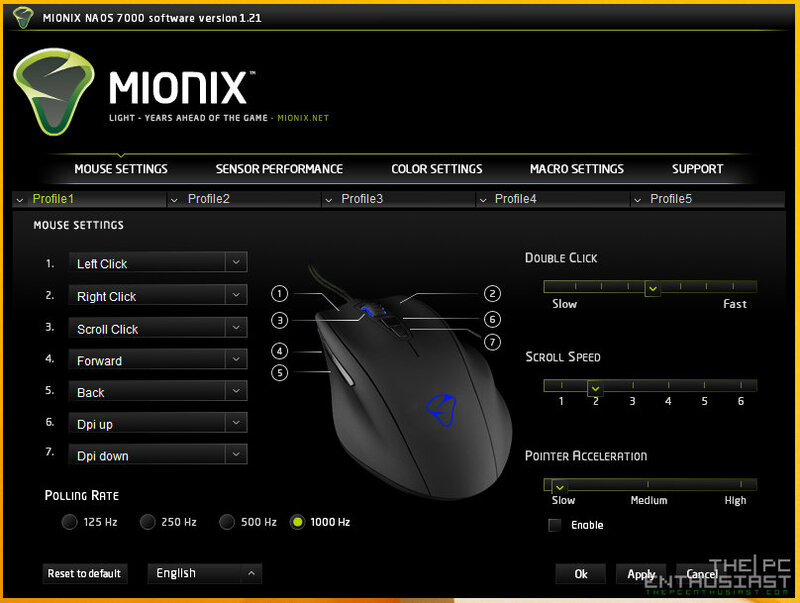 There are five main sections in the Mionix NAOS 7000 software utility: the Mouse Settings, Sensor Performance, Color Setting, Macro Settings and Support. In the Mouse settings this is where you can configure the individual buttons of the mouse, polling rate, pointer acceleration, scroll speed and double click speed. 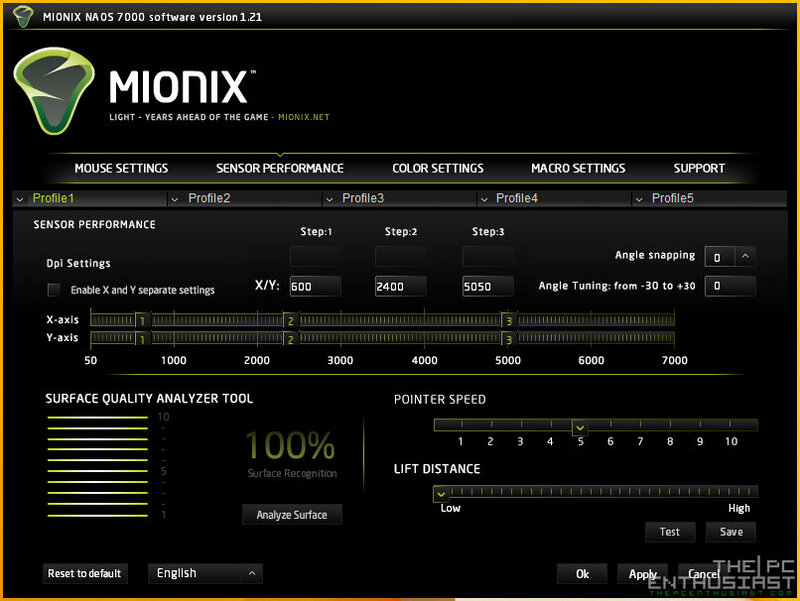 In the Sensor Performance, you can adjust the NAOS’ Lift Distance, Pointer Speed and adjust the level of DPI settings. Angle snapping and angle tuning can also be adjusted in this section. Finally there’s the Surface Quality Analyzer Tool which will analyze the surface whether how good or bad it is. In the Color Settings, you can choose what color and LED effects that suit your taste. Can’t decide which color to use? Then use Color Shift and it will cycle through all the different colors. Finally there’s the Macro Settings and the Support menu. In the Macro Settings this is where you record the macro command(s) that you want to execute. Then you can assign it to an individual button from the Mouse Settings menu. You can store up to 5 different profiles thanks to the 128kb built-in memory. 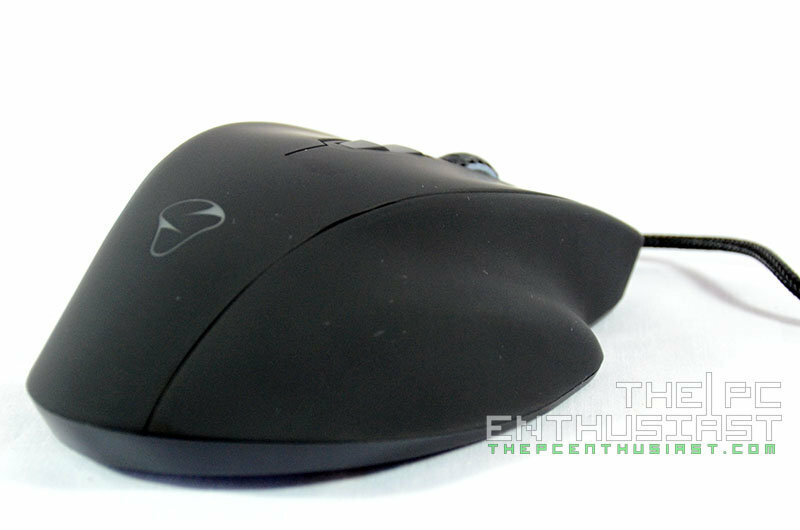 I like First Person Shooter games and I played several games with the Mionix NAOS 7000. I played Battlefield 4, Crysis 3, Wolfenstein: The New Order, and CoD Ghost. The experience was good and I didn’t find or noticed anything off while using this mouse. But I could feel that the mouse can still do better and decided to compare it with another surface. I decided to use the Surface Quality Analyzer Tool and analyze the surface of the SARGAS 900. I’m a little bit disappointed to find out that the results were not that high. The highest score I got was only 70%. If you’re not very particular with accuracy, you might not notice the difference at all. But since I was not that comfortable with the result I decided to analyze the surface of the Roccat’s Raivo Gaming Mousepad as well. Surprisingly the Raivo gaming mousepad got a perfect 100% score in the Surface Quality Analyzer Tool. So I decided to use the Raivo instead for further testing and use of the NAOS 7000. After that, I’ve spent several hours playing again and probably you can partially blame that why I haven’t published this review sooner. I’m not a claw-type user and I prefer a mouse with a wider surface area where my palm can fully rest while playing or doing some work. Ergonomically speaking, it’s very comfortable and will not easily slip off your hand. 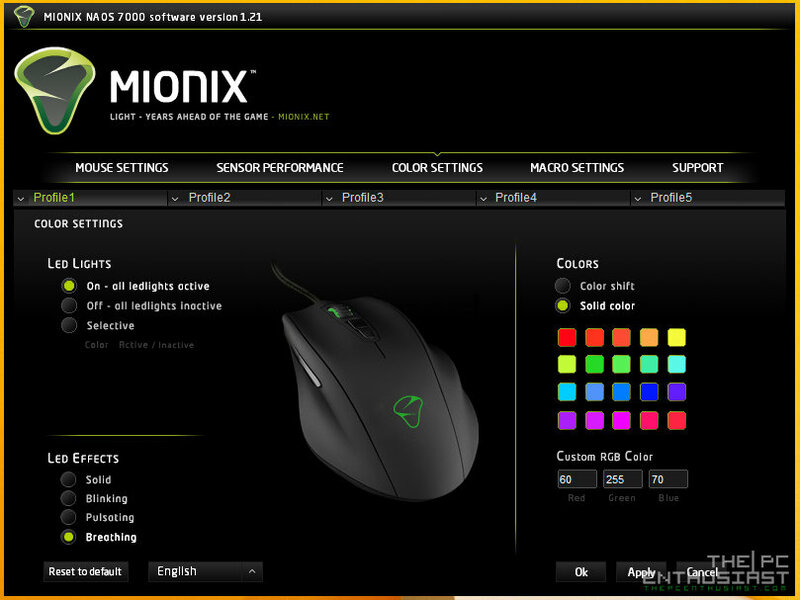 No wonder other companies are also imitating the design of the Mionix NAOS. 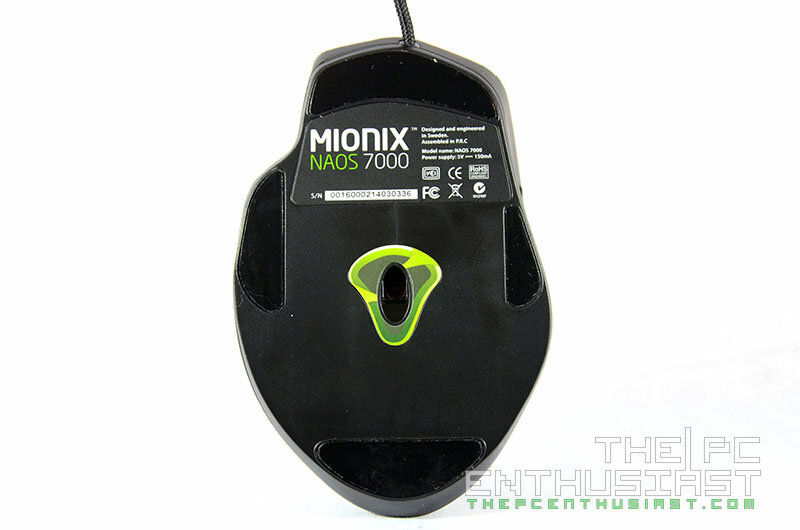 The Mionix NAOS 7000 gaming mouse is widely available and you can get one for $66.99 at the time I posted this review, or €79.99 directly from Mionix site. The company is offering 2 years warranty for European region and 1 year for US and ASIA. Meanwhile, the SARGAS 900 gaming surface currently has a retail price of $34.75. It’s available in smaller sizes – Sargas 400 and Sargas 320. Now it’s conclusion time and for products like a gaming mouse I think the major deciding factor is personal preference. First of all, the NAOS 7000 doesn’t have an ambidextrous design and it’s basically made for right-handed users. So if you are a left handed user, better look for another gaming mouse. 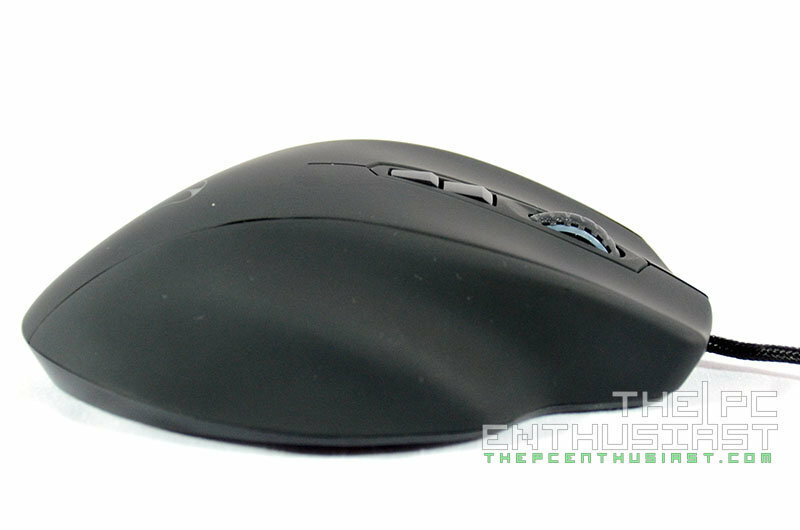 Second is the type of mouse grip; the NAOS 7000 is definitely best suited for palm grip type users, despite that it is mentioned from their site that it is also suited for Claw grip users. 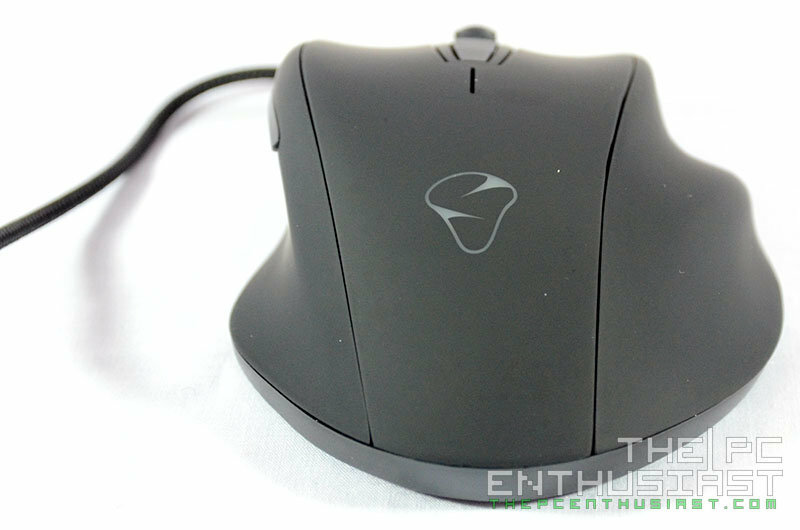 Some Claw grip users might not be fully comfortable with the NAOS 7000 and may take some time for them to fully adjust. For fingertip grip users, sorry but this might not be for you as well. So basically if you are a palm grip user, you will definitely enjoy its ergonomic design. Moving on, when it comes to features, the Mionix NAOS 7000 won’t disappoint you. It’s built with ADNS-3310 optical sensor which, for me, did a great job while I was playing my favorite FPS games. I didn’t notice anything strange and I didn’t encounter any acceleration issues or the mouse not being responsive. It’s built with just the enough buttons that you need for a first person shooter game, plus you can assign some macro functions if ever you needed this kind of feature on a mouse. I guess the only thing that is missing in this mouse is a weight option. Like I said earlier, it feels a little light for me, and I would have preferred if it was a little heavier. But there are also users who want a lighter gaming mouse, that’s why a weight option would be nice. 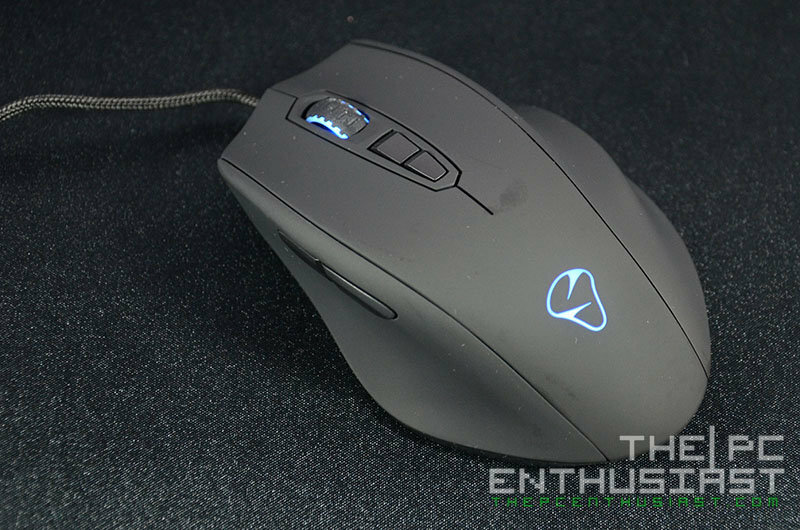 At the end of the day, the Mionix NAOS 7000 gaming mouse is a very comfortable gaming mouse and I wouldn’t hesitate recommending it to palm-grip users. However, I’m not that confident enough recommending this to claw grip users, and definitely not to left handed users. 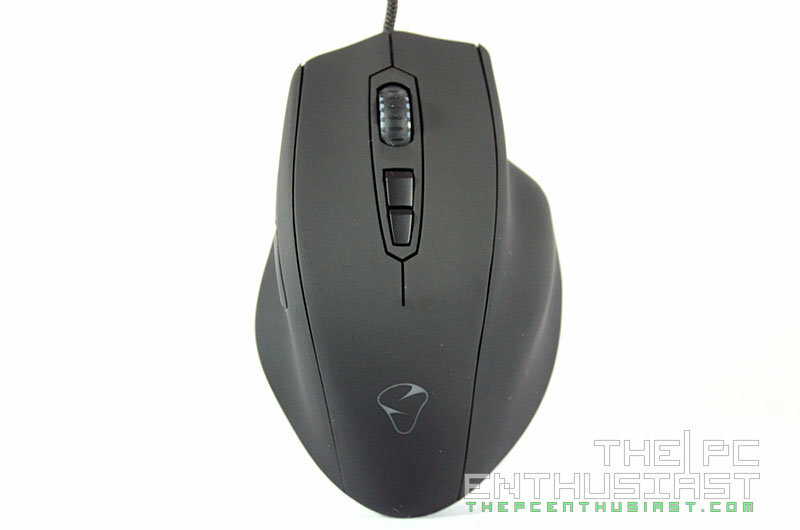 If you are left handed, I would suggest you check out the Mionix Avior 8200 instead or look somewhere else. 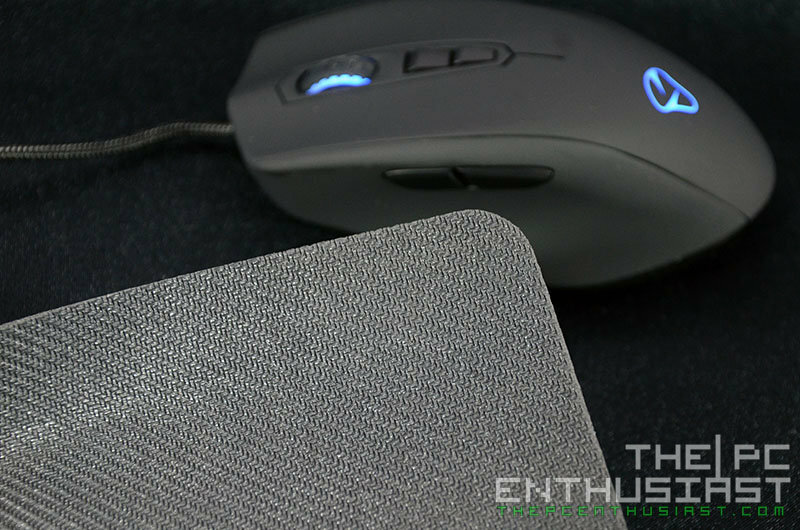 Quality is very much observable in this mouse, and for its current price and the comfort that it provides, the NAOS 7000 deserves The PC Enthusiast’s Highly Recommended award.